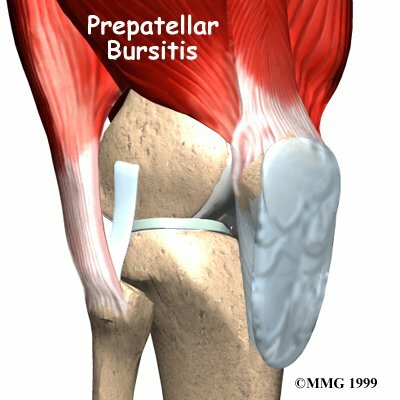 Welcome to Purposed Physical Therapy's patient resource about Prepatellar Bursitis. How do health care providers identify the condition? When you visit Purposed Physical Therapy, our Physical Therapist will take a history and do a physical exam. 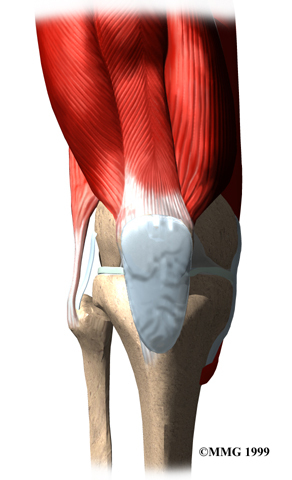 The diagnosis of prepatellar bursitis is usually obvious from the physical examination. In cases where the knee swells immediately after a fall or other injury to the kneecap, X-rays may be necessary to make sure that the kneecap isn't fractured. 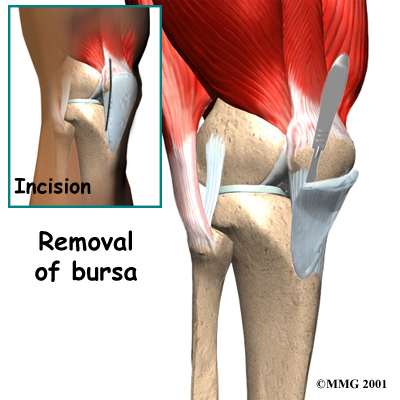 Chronic bursitis is usually easy to diagnose without any special tests. Some patients may be referred to a doctor for further diagnosis. Once your diagnostic examination is complete, the Physical Therapists at Purposed Physical Therapy have treatment options that will help speed your recovery, so that you can more quickly return to your active lifestyle. Purposed Physical Therapy provides Physical Therapist services in Greenville. When you visit Purposed Physical Therapy, our treatment usually starts by trying to control the inflammation. Our Physical Therapist may suggest the use of heat, ice, and ultrasound to help calm pain and swelling. We may also suggest specialized stretching and strengthening exercises used in combination with a knee brace, taping of the patella, or shoe inserts. We use these exercises and aids to improve muscle balance and joint alignment of the hip and lower limb, easing pressure and problems in the bursa. Our therapy sessions sometimes include iontophoresis, which uses a mild electrical current to push anti-inflammatory medicine to the sore area. This treatment is especially helpful for patients who can't tolerate injections. If surgery is required, you and your Physical Therapist will come up with a plan for your rehabilitation. Initially you will have a period of rest, which may involve using crutches. Then we will begin a careful and gradual exercise program. At Purposed Physical Therapy, our goal is to help speed your recovery so that you can more quickly return to your everyday activities. When your recovery is well under way, regular visits to our office will end. Although we will continue to be a resource, you will be in charge of doing your exercises as part of an ongoing home program. In cases where the knee swells immediately after a fall or other injury to the kneecap, X-rays may be necessary to make sure that the kneecap isn't fractured. 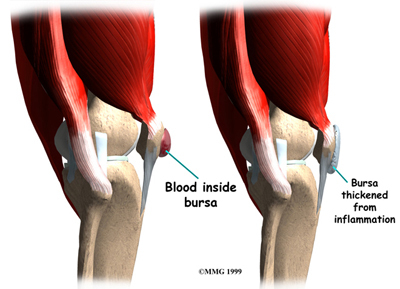 Chronic bursitis is usually easy to diagnose without any special tests. 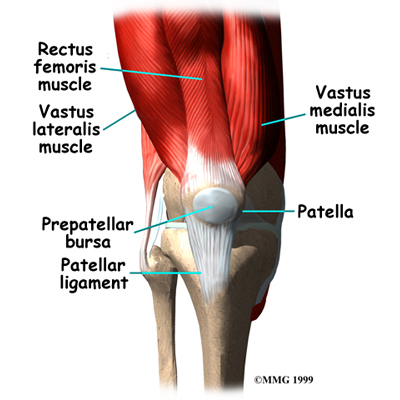 Chronic prepatellar bursitis is sometimes a real nuisance. The swelling and tenderness gets in the way of kneeling and causes pain. For people who need to kneel, this creates a hardship both in their occupation and recreational activities. Patients with prepatellar bursitis may benefit from two to four weeks of Physical Therapy.